Last week I spoke at a Distilled Meetup themed around the Psychology of Link Building, alongside Mike Essex from Koozai and Phil Nottingham from Distilled. It was a really interesting event, and now I’m finally on the road to recovery from my #girlflu, I thought I’d share some of my insights and takeaways from the evening. 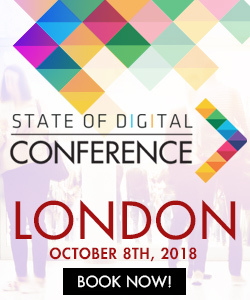 This is however less a write-up of the event, and more a few stand-outs thoughts on link building and the thoughts behind it as an overview. It’s a oldie but it’s a classic for a reason. Mike brought this up again in his presentation when discussing the use of twitter. It’s all about the long-term goal, or ‘small steps’ to use Mike’s terminology. Follow people, interact with them, comment, reply, become a known name. The goal isn’t to get one link from an unknown person. The goal is to build up a series of relationships which can also organically grow and naturally reap links. This might start with getting a single link a couple of months later but could lead to much greater support, social mentions and links a few more months down the line. Alternative view: Mike suggests using the ‘door in the face’ technique. Basically the exact opposite of softly, softly, nicely nicely – make a request so outlandish that they will of course turn you down. However when you then go back to them with something far more reasonable, they may be much more likely to accept. Used in the right circumstances, this is a great technique but be warned: approach with caution! 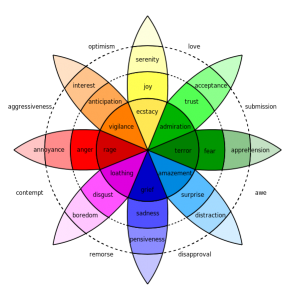 In keeping with the theme of ‘psychology’, I’m going to bring in an official psychology term here and mention Plutchik’s Colour Wheel of Emotions (image from Wikipedia). Plutchik was a professor at the Albert Einstein College of Medicine and created the wheel of emotion in 1980 to describe the relationship between emotions, e.g. joy versus sadness or trust versus disgust, in the same way that we see a traditional colour wheel. Like colours, emotions can have different intensities and can also be mixed to form different emotions. Understanding how these emotions work together can unlock huge potential from a marketing, and link building, perspective. Information and content with a sense of urgency or fear stands out from the norm. Koozai’s successful example: Are eBooks the new content farms? Don’t just provide video content on a video page. Give people everything they want – include text, pictures and video. Holding back to highlight the video will only downplay the page. This came up multiple times in the evening and I think is a crucial area to link building. Sad to say but all the white hat preaching in the world can’t undo the fact that with big budgets, came big paid links. And with big paid links, comes big rankings. We don’t all have that budget and we don’t all want to lost the last shred of creativity we have by playing pick & mix with a list of possible links. Creativity makes the world go around. I think Phil proved this point nicely in his talk focusing on using video as part of your link building strategy, he spent under £1,000 to create 57 unique videos in a day. And that’s including the cost of the camera! This is particularly true if you have a great product or brand behind you. I spoke to one of the attendees after the conference who was working with a well established Osteopath and Physiotherapy company. 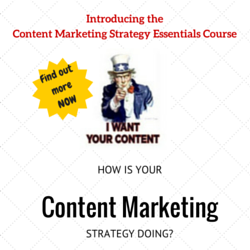 There’s such a host of great potential content there just waiting to be plundered! If your site is a very competitive niche, consider indirect link building and referrals. Don’t just focus on top rankings for the top term in that market. It may be ideal but is it achievable? Look at what sites are ranking, are any of them informational? Can you build relationships with them? Think second hand links and second hand traffic, it’s not ideal but can it get qualified traffic faster, cheaper and long-term? There’s a host of other areas to explore here but this post threatens to turn into a monster, which from a psychology perspective we all know is a bad idea. There’s a final tidbit of advice – keep it short, to the point and make you case! I’ll leave you with the slides from all three presentations for more information. More info can also be found in Mike’s write-up on the Koozai blog. Link building – What Is It Good For?